Woohoo, Torchlight, the new ARPG by Runic Games and using OGRE for rendering, is launching today! Well, strictly speaking the single player game launches today, with an MMO version planned for 2010. 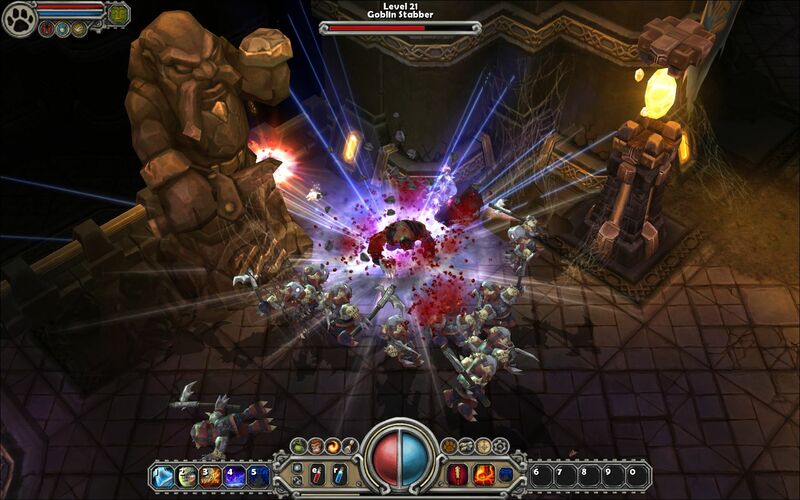 Torchlight has been developed in Seattle by a veteran team composed of the designers and leads of projects like Diablo, Diablo II, Mythos, and Fate, so you knew this was going to be good. Well, Runic were kind enough to send me an advance copy which I played a little yesterday, and boy, is it polished. You can really tell the heritage of this team, it's immediately fun to play and has really great production values with tons of neat little touches and is something of a visual treat, which considering it was designed to work on low-end hardware too (it has an explicit 'netbook mode' for goodness sakes) is no mean feat. A level editor is coming out very soon too - the very same one that Runic used to create all the levels in the game - so that will be a lot of fun to play with too I'm sure. Obviously we’re very proud that OGRE has been a part of creating this title. Torchlight is available to purchase in about 10 minutes time according to the countown clock, as a digital download from Perfect World, Steam, Direct2Drive and other partners. It's staggeringly good value, so go get it!